After spending an estimated R300 million and seven years later, Mpumalanga provincial government cannot even disclose the physical addresses of two key infrastructure projects aimed at promoting sports and culture in the province. “I will come back to you in five minutes,” said departmental spokesperson, Sechaba Mphahlele when asked to provide the addresses of the two multi-million projects. Mphahlele had earlier asked for more time to confirm the budget allocated to both projects since 2011. “Some of the information dates back a long time, therefore I need more time to gather the information,” he said before disappearing. 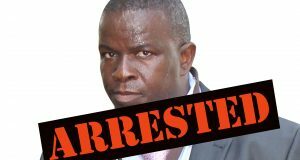 When we finally tracked him down more than a week later, he claimed that he was on sick leave, but promised to delegate the responsibility to his senior, department’s head of communication, Sibongile Nkosi, to provide the addresses. That was the last time we heard from Mphahlele, and we never received the addresses. The story of the Mpumalanga’s High Altitude Training Centre (HATC), formerly called the Sports Academy and a Cultural Hub, sometimes referred to as the Creative Cultural Hub (CCH), started during former Mpumalanga premier, David Mabuza’s state of the province address in 2011. Barely two years in his term as the premier of the province, Mabuza announced that the provincial government would be constructing the two facilities in Emakhazeni and Mbombela local municipalities respectively. “As a Province, we are committed to creating an environment that promotes the development of talent in various sporting codes so that we open up opportunities for the development of world-class professional athletes. We are doing all we can to sustain the legacy of hosting the 2010 FIFA Soccer World Cup. During the 2011/12 financial year, we will commence with the establishment of the Sports Academy,” said Mabuza in February 2011. 2011 – The year of the promise. State of the province addresses are occasions for announcement of ground-breaking announcements. The HATC project is a sporting facility to cater for 20 different sport codes, including rugby, cricket, soccer, hockey, tennis, rowing, canoeing, athletics, gymnastics, swimming, netball, volleyball, basketball, wrestling, judo and karate. It also included the construction of accommodation with facilities such as bedrooms, bathrooms, kitchens, conference facilities and self-catering cottages for approximately 300 people. In the same speech, Mabuza also announced that the government would be constructing what he called a cultural hub. “As a province, we want to create an environment that promotes the development and nurturing of our province’s unique culture and heritage. This year, we will commence with work on the establishment of a cultural hub that will contribute to the development of various performing arts genres such as theatre, dance, music, crafts and drama. This hub will become a centre that will contribute to the development of talent in various arts genres as well as the promotion of artistic expressions of our diverse history and heritage. As part of the cultural hub, we will finalize the establishment of the Film Office to ensure that we promote the development of the film industry in Mpumalanga,” he said. Shortly after Mabuza’s announcement, then MEC for finance, Pinky Phosa presented the province’s budget, stating that the provincial government had allocated R50 million for the Sports Academy. “During the 2011/12 financial year, we will commence with the process of establishing the Sports Academy in Emakhazeni Local Municipality. A special allocation amounting to R50 million is made towards the construction of this sporting facility,” said Phosa. An investigation by Ziwaphi, however, discovered that, in fact, provincial treasury had allocated R55 million for the project and not the amount announced publicly by Phosa. Even though so much money had been allocated and unlike other infrastructure projects in the province, there were no estimated costs of the project and there was no starting or completion date. By the end of the financial year, provincial treasury documents show that only R24 million was left of the R55 million, meaning that the department had spent R31 million. It is easy to miss the R31 million figure because it is hidden in the narrative text of the Estimates of Provincial Revenue Expenditure (EPRE), unlike other expenditure amounts which are reflected in the column called “expenditure to date”. 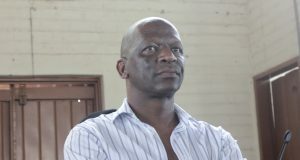 “Currently out of R50 million already allocated during 2011/12 financial year R24 million will not be spent during 2011/12. Department will apply for a roll over during 2012/13,” reads official provincial treasury documents. Again, the document disregards that R55 million had been allocated, but continues with the R50 million narrative. A year later, an elated Mabuza assured the legislature during his 2012 state of the province address that the Sports Academy project was continuing. 2012 – The year he made the promise that construction was starting: “In the next financial year, we will commence with the construction phase of the project,” he said. .
“Last year, we committed ourselves to the establishment of the Sport Academy in Emakhazeni local municipality to nurture and develop world-class sporting talent in various sporting codes. I am happy to report that all plans and designs for the Sports Academy have been finalised. In the next financial year, we will commence with the construction phase of the project,” he said. Despite all the former premier’s assurances and millions of taxpayers’ money spent on the project, not a single brick has been laid in the project that was scheduled to be finished in 2017. Provincial treasury documents of the same year corroborate Mabuza’s pronouncement and they show that R50 million had been budgeted for the HATC, for what is called “preparation for construction”. The same document, however, states that the department of CSR was continuing with the “construction”, giving an impression that construction had started and was “continuing”. “The department will also be continuing with the construction for the new Sports Academy for the province in 2012/13 financial year,” reads the document. While Mabuza had announced the Cultural Hub in the 2011/12 financial year, official documents show that it was only in 2012/13 financial year that government budgeted R24 million for the Cultural Hub. A year later, during the 2013 State of the Province Address, Mabuza, again told the legislature how excited he was about the progress the government had made and he promised again that the construction was starting – a year after he had made a similar promise. “Honourable Speaker, last year we announced plans for the development of the High-Altitude Training Centre in Emakhazeni (The name changed from Sports Academy). We see the establishment of the High-Altitude Training Centre as an important vehicle to deepen sporting talent and create opportunities for all our youth in the Province to develop into athletes of national and international stature. 2013 – For the second time, he said he was excited that construction was starting again. “I am pleased to indicate that we have made progress in this regard. We have purchased land and finalised the designs for this Centre. All the Environmental Impact Assessment processes have been approved. Bulk services for offsite infrastructure have also been concluded. In the new financial year, we will commence with the construction,” said Mabuza on 1 March 2013. 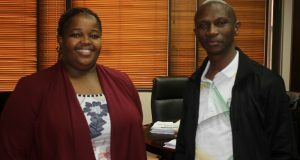 Emakhazeni local municipality, which owned the land, confirmed that the department of CSR had purchased the piece of land for R5 million. “The municipality confirms knowledge of the High-Altitude Training Centre project implemented by the Department of Culture Sports and Recreation. To that end, the undersigned further confirm receipt of payment of R5 million made on 30 June 2012,” said municipal manager, Lizzy Tshabalala. But, the only information that could be found on “offsite infrastructure” is in a document presented to the legislature by former MEC for CSR, Sibongile Manana in 2014, in response to a question by former Democratic Alliance member of the provincial legislature, Anthony Benadie. The document shows that R8,6 million was spent for an item called “Eskom Power Applications”. In a written response to a media enquiry, Eskom spokesperson denies that the utility company had been involved in the HATC project in Emakhazeni. “The proposed project was earmarked to be supplied by the municipality directly not Eskom. Please send your questions to the Municipality,” said Eskom’s spokesperson, Khulu Phasiwe. When asked if the Department of Public Works, Roads and Transport (or the Mpumalanga Provincial Government or any of their representative had made any application for the installation of any bulk services, such as water and electricity to the municipality for the HATC? “With reference to the implementation of the project, you are kindly requested to direct your questions to the relevant department,” said Tshabalala. While government officials at Emakhazeni local municipality were being diplomatic to save the politicians from embarrassment, Mabuza on the other hand continued to give an impression to the legislature that the work of the construction of the Creative Cultural Hub was continuing. 2014 – The year he became silent about the two projects. “Honourable Speaker, I am pleased that work towards the established of the Cultural Hub is in progress. We have purchased well suited land for the construction of the Provincial Cultural Hub. All planning work, including all legal processes, will be concluded by the end of the current financial year. In 2013/14, construction will commence,” he said. The end of the financial year was a mere 30 days away. But, a year later, when Mabuza delivered his 2014 State of the Province Address, he did not even mention any of the two projects, even though the government had budgeted R40 million and R25 million for the CCH and the HATC respectively in that year. 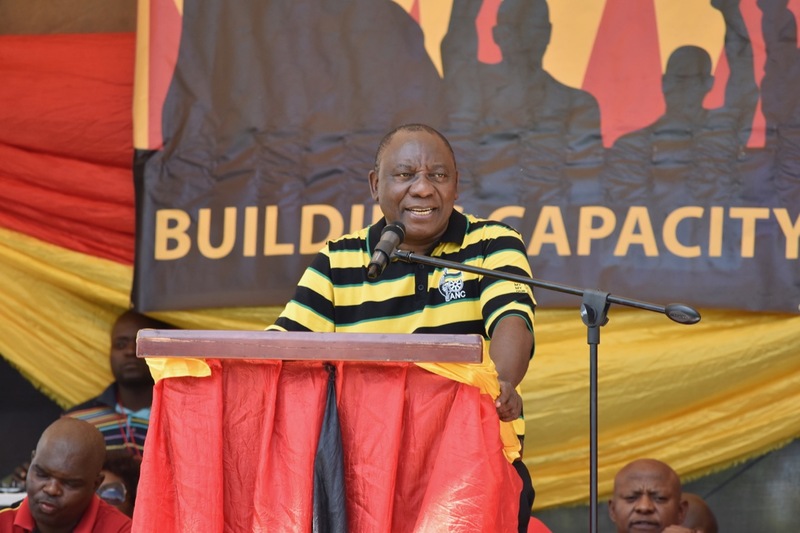 After a year’s disappearance, the two projects found their way back into Mabuza’s State of the Province Address in 2015, but this time he was singing a different tune – that the government was seeking for a “private investor” to construct the projects. “The construction of the Cultural Hub: In this regard, we will ensure that opportunities for private sector investment are explored,” he said. Documents from the provincial treasury department state that R25 million was allocated for the construction of the perimeter wall at the HATC. The document, however, also states that the budget for the HATC was shifted to the Cultural Hub project. This was in addition to the R41 million allocated for the Cultural Hub. 2015 – The year he started a new language: “private sector investment”. “An amount of R25 million has been allocated to the department for the construction of the High-Altitude Training Centre was reprioritised to Cultural Hub project,” reads the provincial treasury documents. 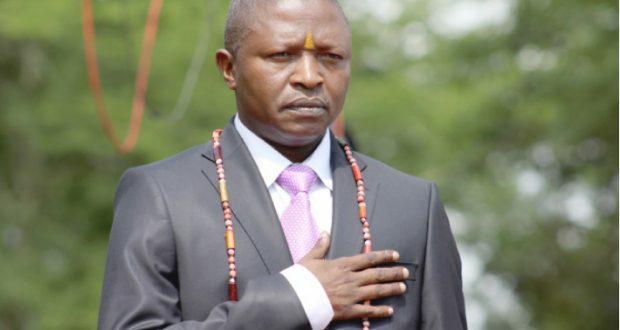 From 2016 both projects disappeared forever from Mabuza’s state of the province address until he was appointed as the country’s deputy president in 2018. The projects also never featured in the policy and budget speeches of the past three CSR MECs. In fact, former MEC Norah Mahlangu never even mentioned the projects once in her policy and budget speeches despite her department’s budget of more than R172,4 million for both projects during her tenure. A source in the department of CSR, who spoke on condition of anonymity, told Ziwaphi that the MECs had deliberately not mentioned these projects in their policy and budget speeches. He said that MECs from Manana to the current incumbent, had always been side-lined. “You are barking at the wrong tree. These projects are worth about R10 billion and we all know who controls such huge budgets in the province, that’s why MECs had been side-lined. They are also tired of defending projects that they have no say in. They feel that the department of public works, roads and transport should be held accountable,” said the source. “An amount of R25 million has been allocated to the department for the construction of the High-Altitude Training Centre. The inadequate allocated budget for the project dictates that the project to build part 1 of the parameter (sic) wall that will be completed in the upcoming financial year,” reads the document. When the Ziwaphi team finally located the HATC address, there was no perimeter wall, let alone a fence. “The project need huge budget and construction of wall was put on hold to finalise compliance documents for registration as PPP with National Treasury,” reads the report. We also visited the CCH site in White River. The piece of land was impenetrable because of the bushes and overgrown grass. “Draft architectural design and site development plans for the Cultural Hub to be built in the Mbombela Local Municipality, in White River were partially completed in 2014/15 and bulk services is planned to be rolled out in 2015/16,” reads the document. This was despite former premier and current deputy president having told the legislature that all the plans had been finalised in 2012/13 and that construction was starting in 2013/14 financial year. Mabuza is now the deputy president of the country, and the promises he made have yet to be fulfilled, seven years and almost R300 million later. 2016 – 2018: The silent years. Mabuza joined his culture, sport and recreation MECs by keeping silent on the projects, until he was appointed as the country’s deputy president, after getting more votes at the ANC national conference in December 2017. One of the difficulties in getting the exact money that has been spent on the two projects stems from the unwillingness and failure of government spokespersons and politicians to provide information. 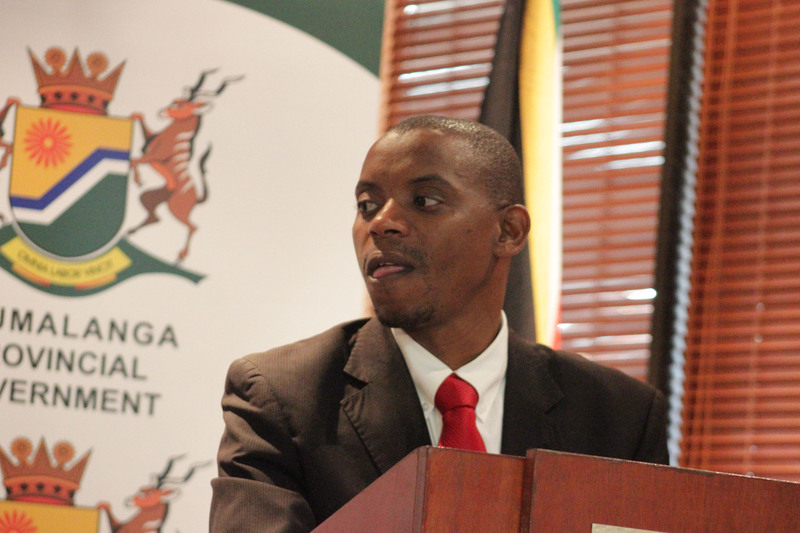 Letshela Jonas, Mpumalanga provincial treasury’s spokesperson, failed to respond to all media questions sent to him since February 2018. Since that media enquiry, however, the budgets for both projects were drastically reduced from R24,7 million to R2,2 million in 2017/18 and 2018/19 financial years respectively. The budget for the cultural hub was reduced from R45 million to a mere R6,5 million during the same period. Despite the information blackout, we managed to piece together the bits and pieces of information from official documents, official responses to media enquiries, parliamentary questions and answer sessions, and other online sources to paint a clearer picture of what officials and politicians would rather not want the public to know. Often reliable government spin doctors, Zibonele Mncwango and Letshela Jonas have also gone to ground. Culture, sports and recreation departmental spokesperson, Nkosi, admitted in a media enquiry that between 2011 until the end of the 2017/18 financial year, the department had already spent R89 300 092. “This is a complex project, its costs included project management, master plan studies and designs, electrical viability studies (Eskom Power) acquisition of land and economic and socio impact studies and engineering services/ access road between project, the town and Siyathuthuka township. The all-inclusive budget that covered the preliminary costs amounted to R92, 000,000 for the period between 2011/12 to 2013/14,” she said in a written response. “The Department spent an amount of R89, 300, 092.” This was in March 2018. A month later, during Questions for Oral Reply at the provincial legislature, the MEC for Culture, Sport and Recreation, Thandi Shongwe presented a different figure, even though the narrative did not change. “The HATC is a massive project. Its costs include project management, master plans and designs, electrical viability studies, acquisition of land, economic and socio-impact studies and engineering services. Access road between the town and Siyathuthuka township. The all-inclusive budget that covered the preliminary cost amounted to R92 million for the period between 2011/12 to 2013/14. In 2015/16 further claim R22 968 000 was paid for project management. The total expenditure amounted to R114 968 000,” said Shongwe. She claimed that the cost for the cultural hub was R115 million. Next: How official may have abused taxpayers’ money to buy underwear, jeans etc.